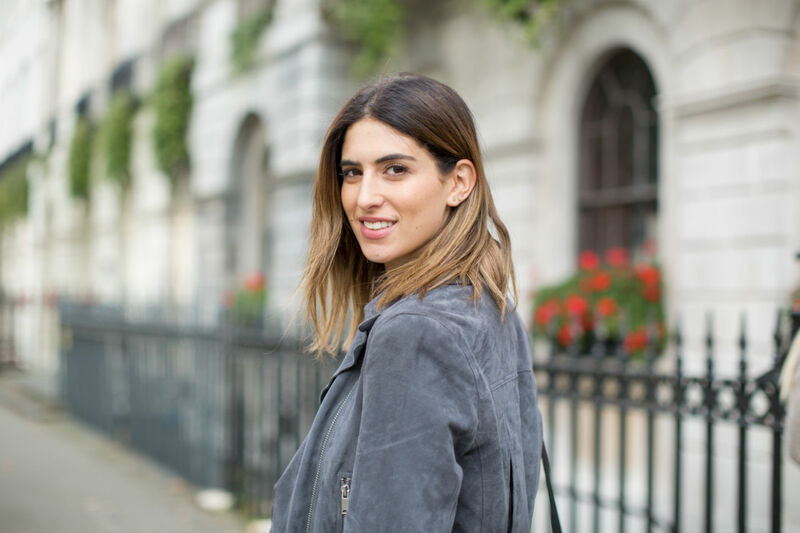 I jumped deep into the handbag section on Farfetch to browse all the beauties they have to offer. There are so many amazing designers and boutiques on the site and I found some beautiful small, cross-body bags but what I really lack in my handbag wardrobe is a bag that can hold my laptop and iPad. 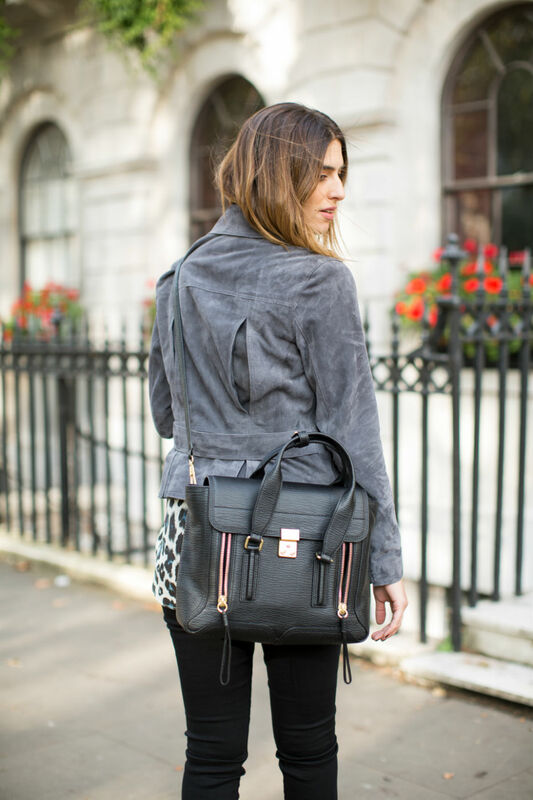 I usually end up throwing on a backpack but I’ve actually managed to find the most perfect laptop bag from Farfetch. 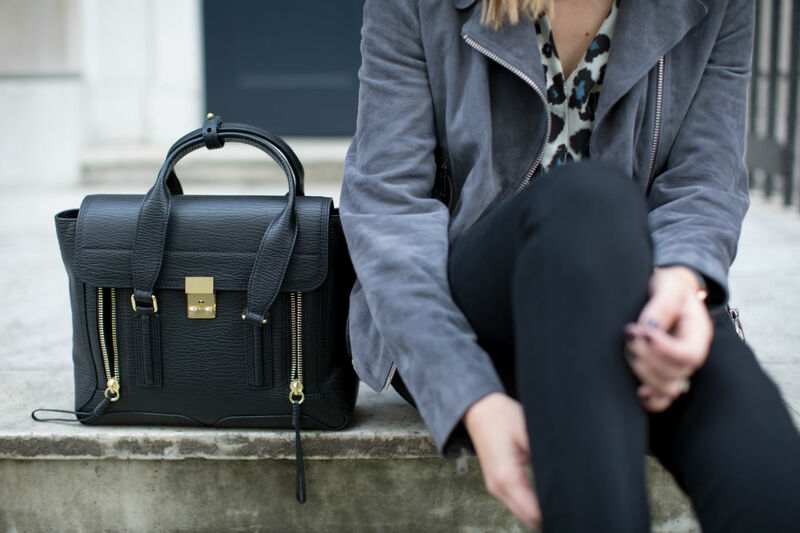 The 3.1 Phillip Lim Medium Pashli is a bag that my friend Lydia pointed out to me. I’ve spotted the small one before and loved the look of it but I didn’t realise that the medium can fit so much in. It’s made out of a really durable black textured leather and has gold hardware which is perfect for me. The two zips on the front open up to create even more space in the bag and it easily fits in my macbook air with plenty of space left for my notebook, hard drive, wallet, phone and any extras. I love that it’s a really secure bag, it feel hard wearing and the front clasp also makes it really safe which is important to me as I often travel on the tube. There’s a smaller top handle if you want to wear it in the crook of your arm but there’s also a longer strap with a comfortable shoulder pad which I prefer to use and wear it cross-body. I’m so in love with the bag, I’ve had so many compliments on it, it’s really practical and goes with everything! 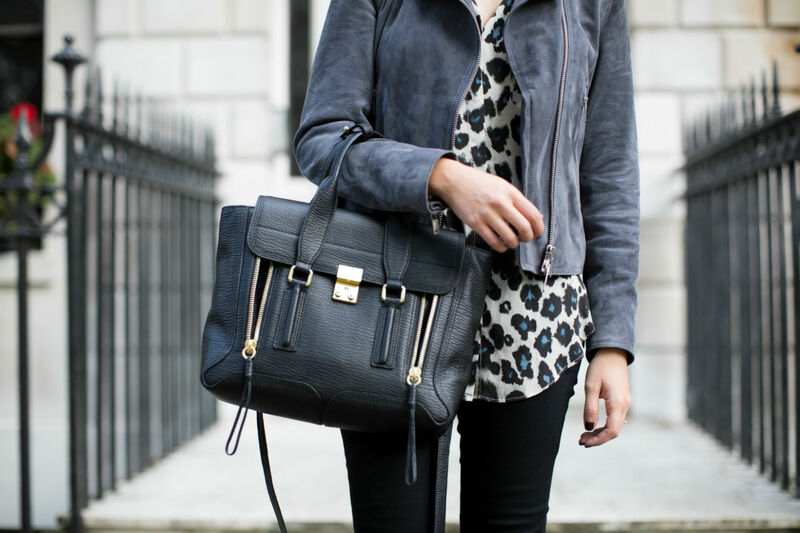 For this look I wore it with my Reiss suede jacket, Lily & Lionel shirt, ASOS black jeans and Topshop boots. This post is an advertisement for Farfetch.